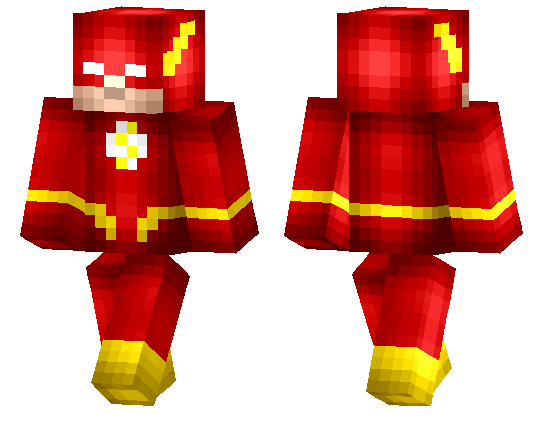 Flash Skin is an excellent skin of a super hero, in which there is a special character that makes a super hero memorable. In this case the super hero Flash has a symbol of lightning, which indicates that it is like lightning fast. This is just a great skin for Minecraft: Pocket Edition, which can be worn, play the role of superman, which saves ordinary people from bad laws disobedient. Extract the skin from the archive. Go to the game settings. Go to the section with skins. Go into the game and enjoy the skin!